Finally, you can use your iMac, MacBook Air or MacBook PRO for laser shows. The latest version of Fiesta is working for the best operating system in the world – Mac OS. But the new software is not only about the operating system. Using latest Fiesta for Mac you can control your effects precisely using popular curve tools. 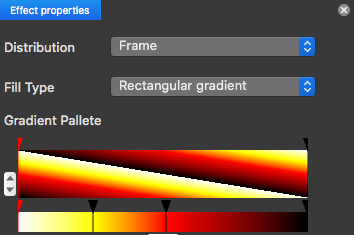 Almost all the properties of your animations can be controlled using advanced keyframe animations. Now you can use timeline to create even your live-show scenes. 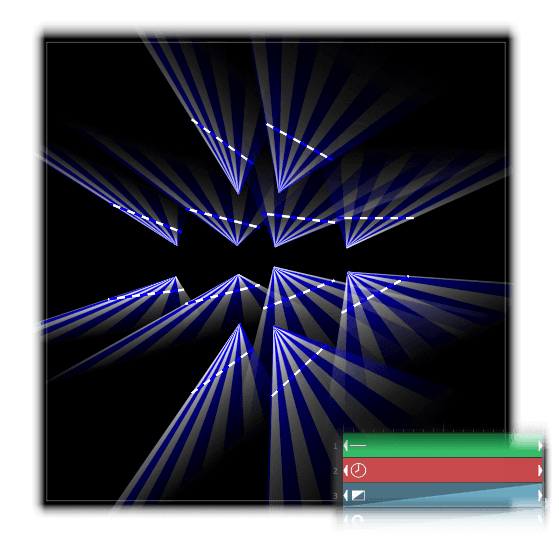 This allows you to create amazing new laser show effects. We know you need to use multiple lasers for your amazing laser shows. 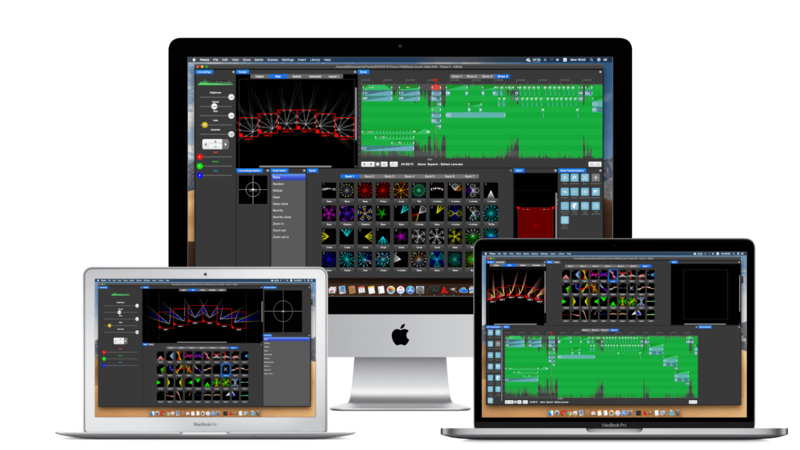 New Fiesta for Mac gives you amazing new tools to create multi-laser scenes. Splitting graphics into multiple lasers or special delay transformation allows you to create stunning multi laser scenes in a second. It’s not only animation library. You can use the library to save interesting animations or even complete laser show scenes. And you’ll use the same library for scenes and shows! Very practical. 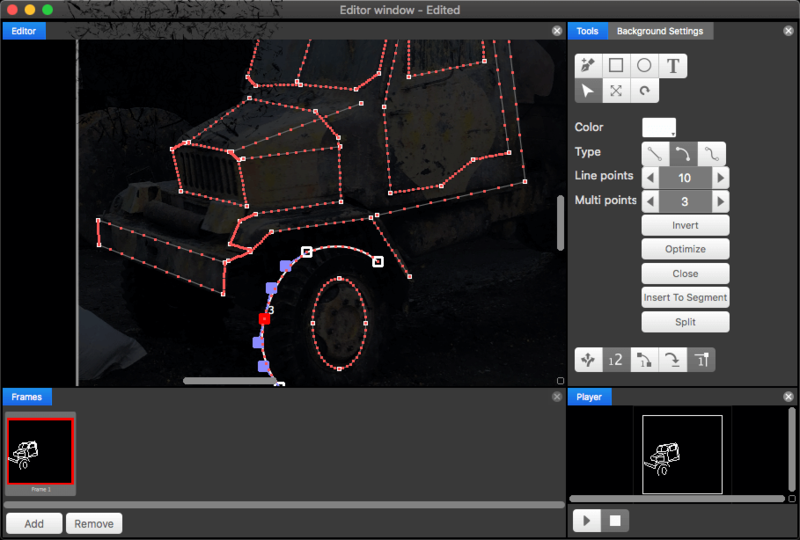 You can finally draw your graphics directly in the software. It’s great for animations and laser mapping. We’ve used the color tools from our LED Strip Studio system, which allows you to create amazing color effects. 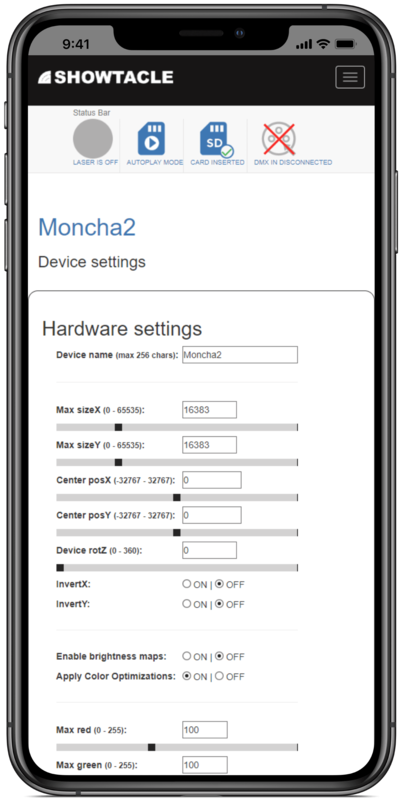 New Moncha hardware now works up to 100000pps speed and it’s finally perfectly fluent! There are two options available – lite for integration into laser system. And box in case you want to use standard ILDA lasers. 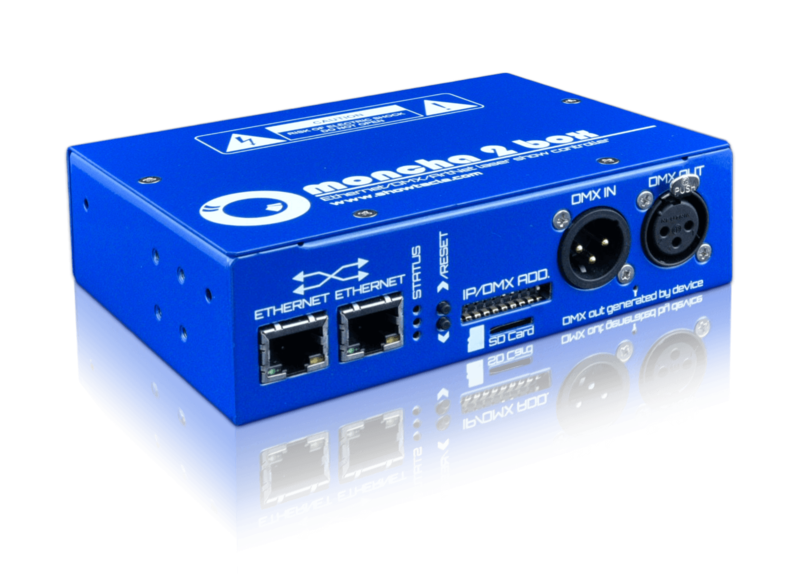 Both new laser show hardware controllers can be now configured over your iPhone or Android device. Thanks to web configuration you can use any web browser to set your laser settings. There’s a lot more into new Fiesta for Mac. New philosophy, new ideas, brand new drawing engine and thousands of other features. 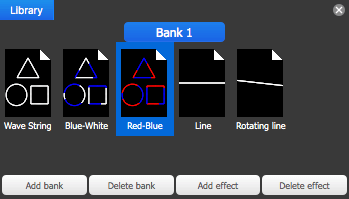 Download it and find out, how you can create better laser shows. In case you like to know a little bit more about new Fiesta for Mac software, please, visit our blog.